Immaculate Carolina Bay Townhome - Rare opportunity to own in Bridgewater at Carolina Bay! End Unit! This immaculate home, in West Ashley's premier community, is turn key ready for immediate occupancy. A truly inviting property, feel instantly at home when you walk through the front door. Energy efficient vinyl windows, create a bright and airy space, while the open floor plan lends perfectly to entertaining or simply relaxing. Kitchen offers granite surfaces, 42'' cabinets, SS appliances, and GAS range! Manufactured hardwood flooring is not only beautiful, but extremely durable. Upstairs find the master on suite with garden tub, separate shower stall, & massive walk in closet. Two guest rooms, laundry, and second full bath complete the second floor. ALL appliances are high end, new, & will convey with acceptable offer. 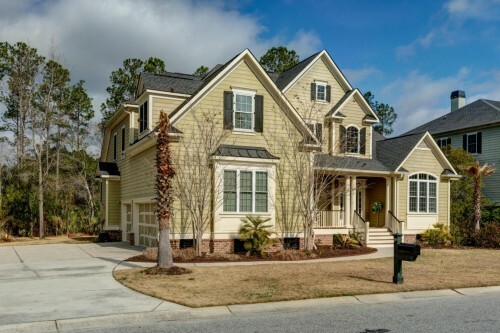 Quintessential Summerville - Be ready for entertaining season, this Spring, in your new home! Saltwater pool and outdoor living combine to create the perfect hospitality & relaxation space! Boasting great design features, 309 King Charles Circle is airy and instantly inviting. Eat in kitchen is open to the living room, and adjacent to adorable kid's play room. Three bedrooms, plus private master en suite, are upstairs. Master suite makes an escape unto itself with massive closet space and bathroom, PLUS gas fireplace to set the mood! All located in Summerville's desirable and established Newington Plantation. This captivating home is zoned for the award winning DDII school system. Walk the kids to school, as 309 King Charles is 1 mile through the neighborhood to Newington Elementary. Property has been meticulously cared for! 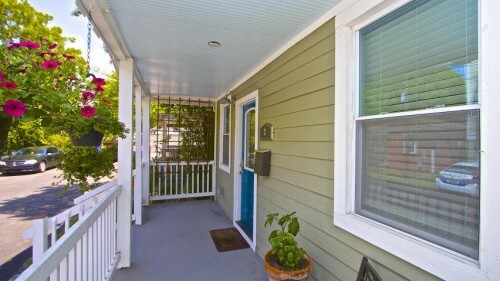 Wagener Terrace Gem - Walking distance to Downtown or to Hampton Park! Be on I-26 or the Ravenel Bridge in minutes for easy access to beaches, Mount Pleasant, and the airport! Very Large trees provide excellent privacy while you sit outside on your screened in porch in the mornings! The interior of this home speaks for itself as it is completely updated throughout with brand new hardwoods, granite countertops,tile shower, and it is freshly painted! The tankless hot water heater as is also very efficient.All of Downtown Charleston's finest dining and shopping are just minutes away! The Wagener Terrace neighborhood allows residents to enjoy the attractions and perks of living in this beautiful city as well as living in a desirable & quiet neighborhood! This Downtown bungalow will not disappoint. 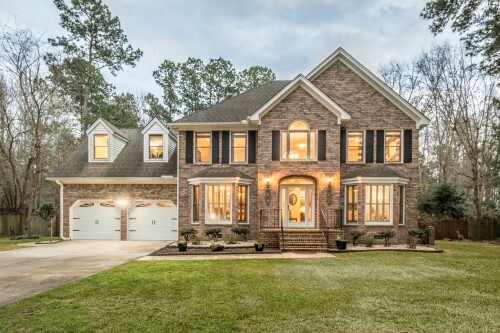 Move in ready Brickyard Plantation - Looking for a beautiful place to call home in one of the most sought-after neighborhoods in all of Mount Pleasant then look no further! This warm, bright, and spacious home has an open floor plan, large family room and foyer. Enjoy a large fenced in private back yard with stamped and stained slate, fire pit, and covered porch on a large corner lot with gorgeous mature landscaping and trees. Save in water usage with your own well for the irrigation system. Entertain your friends in the newly renovated kitchen. Enjoy the openness of the floorplan and still have the ability for separation in your private office. Upgraded bathrooms, private office or dining room, wood floors, carpeted bedrooms with large closets, wide hallways and convenient washer/dryer access on second floor. Park West Colonial - Gorgeous, custom built home. Crown molding throughout gives this home that perfect polished look! The home is on a private wooded lot with beautiful marsh views. When you arrive, you step up to an inviting front porch with a stained bead board ceiling. Opening the door you will see Brazilian Cherry floors throughout the downstairs. Left into your beautiful and spacious formal dining room open to the foyer. On your right is the office with French glass double doors As you continue through the vaulted foyer you enter the two story ceilings open great room. This room has high ceilings with double fans, a fireplace and custom built cabinets on each side. 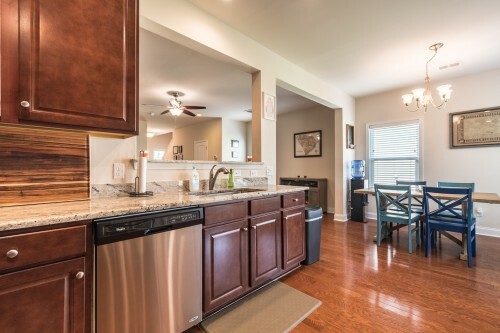 Continue through to your beautiful open kitchen, eat-in dining area, and keeping room!